No DivX support in Microsoft's next upgrade... or is there? Microsoft has announced the features that will adorn the Xbox 360 Fall Update. Due on December 4, the new Dashboard Update will be available for all connected Xbox 360 consoles free of charge, bringing an array of new enhancements to Microsoft's successful console. Among the key new enhancements are the previously announced Xbox Originals game download service, Family Timer parental control feature and expanded social networking experiences. 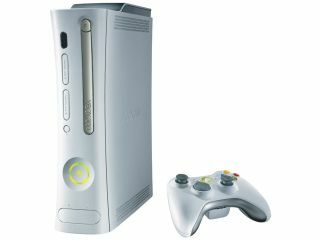 Xbox 360 owners can also look forward to enhanced navigation, profile and video features and Xbox Live Arcade Hits. However, there is one major item missing. The one feature that everyone wanted to see - DivX video support - is not mentioned. The release says the update will improve the video codec support of the console, but fails to mention whether this means DivX or not. Xbox Originals - With this new service, you'll be able to download-to-own full original Xbox games. The digital shelves will always be stocked with classic titles, such as "Crash Bandicoot: Wrath of Cortex" "Crimson Skies: High Road to Revenge," "Halo," "Fable," "Fuzion Frenzy," "Psychonauts," and more as the catalogue grows over time, at 1,200 Microsoft Points per game. Xbox Live Arcade Hits -The Arcade Hits program kicks off where some of the best selling Xbox Live Arcade games will become available at permanently reduced prices, making it easier than ever for everyone to build a library of downloadable games! Enhanced online profile - Members interested in sharing a few more details about themselves will have the option to go beyond their motto and further personalise their profile with an expanded bio. The extended bios will be visible to "Friends Only" or the entire Xbox LIVE community. Enhanced Parental Controls - Family Timer, a strong and flexible new addition to the Xbox 360 Family Settings, enables parents to set the amount of time their Xbox 360 can be used on a per-day or per-week basis by their children or other members of the household. New video features - The convenience of full-screen movie previews and enhanced video codec support further expand the options when it comes to the Xbox 360 entertainment experience. Easy-to-use navigation features - With several noteworthy changes in the Xbox LIVE Dashboard, from the new Game Store button to the Video Store button to enhanced visuals and descriptions in the video library, Xbox LIVE members can find what they want, when they want it.